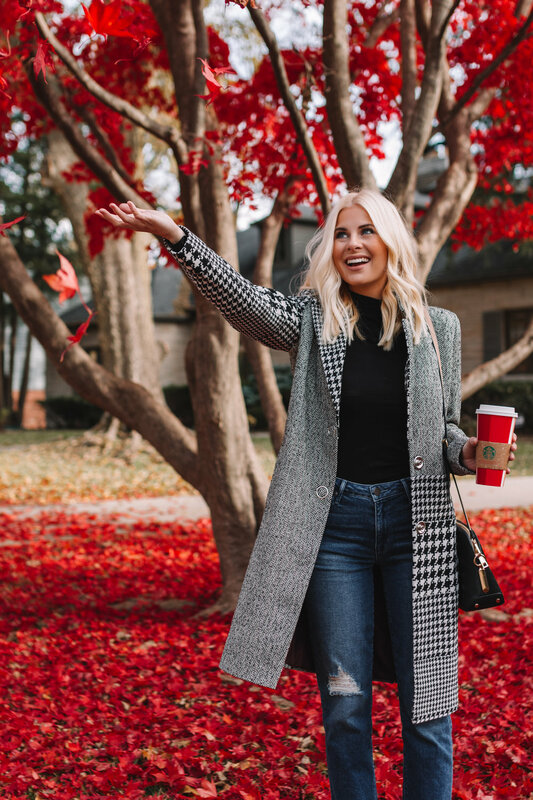 Soaking up the last of these Fall vibes before the full on Christmas spirit hits (okay who am I kidding, the Christmas spirit is HERE). 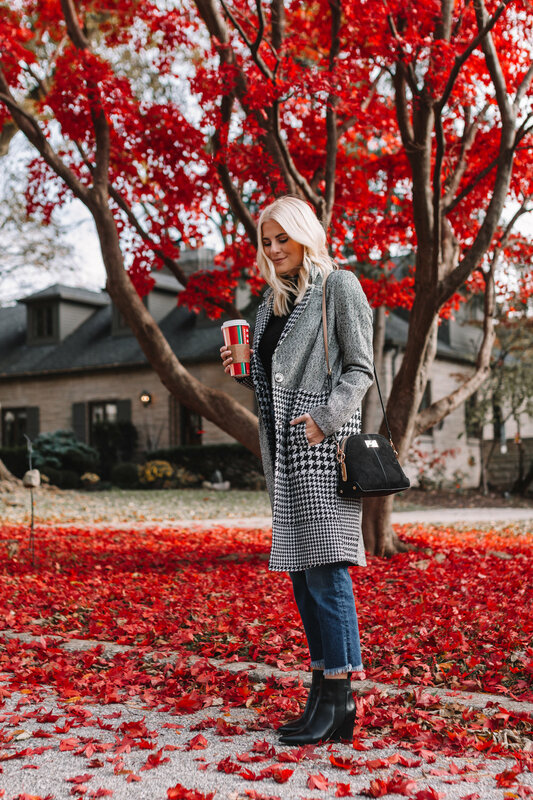 This patterned coat from River Island is the perfect transition piece into the colder weather that’s sneaking up on us in the Midwest. I love throwing it over simple pieces for an automatic chic look or you can throw on some gloves and a scarf and take it into the winter months! It has a unique houndstooth/plaid mix pattern that I’ve never seen on a coat before- love it! I ordered my true size (US 4) for sizing reference! Be sure to check out River Island for some great Black Friday sales!